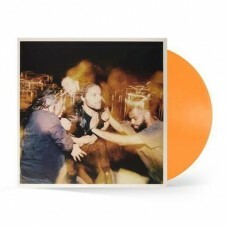 Limited Edition Orange Vinyl Repress! 'The Positions' is the debut album from Gang Of Youths, which debuted in the top five on the ARIA Album Chart on release in 2015. Since then, the band have released their much awarded sophomore album 'Go Farther In Lightness,' which debuted at #1 on the Album Chart and earned them multiple ARIA Awards including Album Of The Year. Over the last four years, Gang Of Youths have cemented themselves as a global force to be reckoned with and recently headlined the national Laneway Festival (February 2019) and completed a record-breaking tour in late 2018 with multiple shows in cities around the country.